This week’s inspiration comes from an unexpected location: my neighborhood’s 90-year-old candy shop. I was intrigued—and impressed—to see an iPad Mini sitting on the counter. The iPad is part of the Belly program, a customer loyalty card/app/email list program that’s popping up around my metro area. Each time I shop, I scan my the barcode from my card on the iPad. In the spirit of “research,” I’ve been back to the shop twice just so I can try out the app and evaluate the user experience. And also to evaluate the handmade almond clusters. As a result, I’ve been thinking about customer loyalty programs all week, and I realized that what really made the experience at the candy shop stand out to me had nothing to do with how fancy the card was—it had to do with the candy shop employees. They were as excited about me using my card as I was. They made a fuss over me, and I felt special. That’s the point of a customer loyalty program: to make your customers feel special. It doesn’t matter whether your loyalty program is a high-tech Belly card or if it’s a low-tech punch card you’ve printed on business card stock; the core value of a loyalty program is that it provides an opportunity to make your customers feel special. It reminds you to celebrate your customer. While we’re still counting down the days until spring, this is an excellent opportunity to spend time thinking about how you’ll make your customers feel special this year. You know, far better than I do, how your focus shifts to tunnel-vision when you’re in the thick of the busy season. Is this the year to start a customer loyalty program? What would add value for both your customer and you? Is there a particular item or habit you want to encourage, such as buying a daily cup of coffee or trying all your truck’s burger combinations? Would making a simple punch card be sufficient? 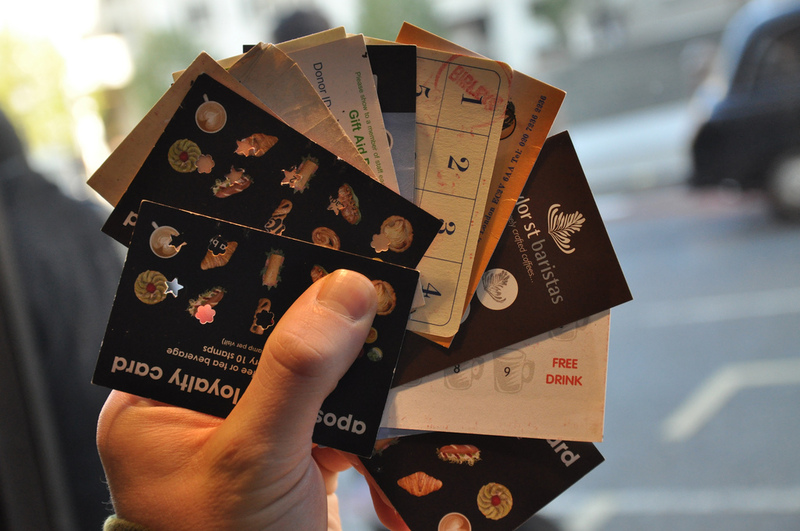 How can you make the experience of using that punch card exciting for your customer? Spend some time this weekend thinking about loyalty programs. If a 90-year-old candy shop can embrace technology, I’m sure you can make space to try something new.